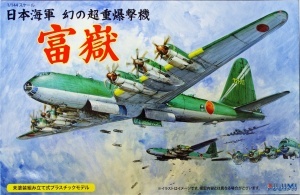 The ultra long range strategy bomber of the Imperial Japanese Air Force was called Nakajima G10N Fugaku which means Mount Fuji in Japanese. The purpose of the development was to perform aerial bombing campaigns along industrial targets along the West Coast (e.g., San Francisco), Midwestern and Northeastern of the United States. However, the costs and technical issues, together with the drawbacks suffered by Japanese forces during Pacific War forced them to cancel the project and no aircraft was finally constructed. Two ore unique features were characteristic of this model. 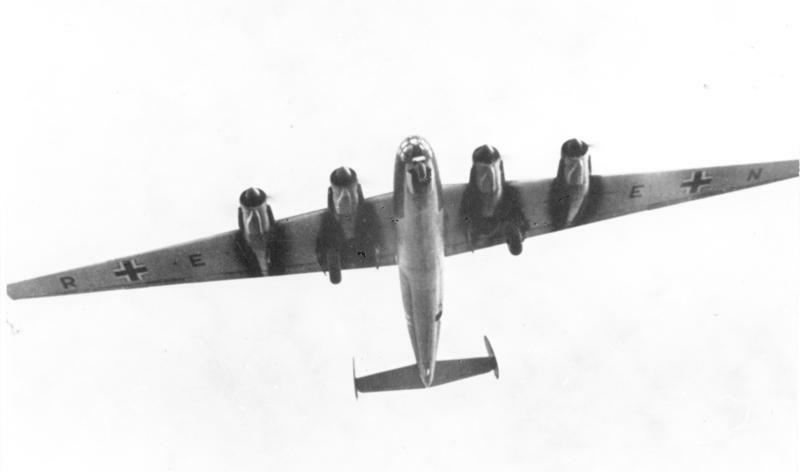 First, in order to reduce weight, some of the landing gear was to be jettisoned after takeoff, as had been planned on some of the more developed German Amerika Bomber competing designs. Interestingly, this landing gear was unnecessary on landing with empty of bomb load, according to the designers. Second, it had six engines, as with the later Amerika Bomber design competitors, to compensate for German aircraft engines being limited to 1,500 kW (2,000 hp) maximum output levels apiece. The development started in January 1943, with a design and manufacturing facility built in Mitaka, Tokyo, and the engine assigned to the Fugaku was the Nakajima’s 4-row 36-cylinder 5,000 hp Ha-54 (Ha-505) engine. However, this engine showed problems and was abandoned as too complex. 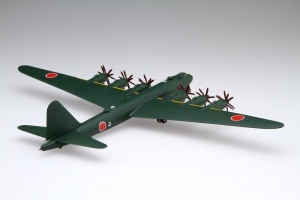 Tags: 1/144 Nakajima G10N Fugaku, Nakajima G10N Fugaku "Mount Fuji"